Join eight, 2-hour classes via the phone and learn to deliver HeartMath’s scientifically–validated tools in a coaching and mentoring style, specifically for one-on-one and small group settings. Each class consists of core topics including Q&A. All classes are recorded and available for review. Classes are held on Tuesdays at 10:00am PT. Registration for this session closes April 24, 2019. Join us for our European Festival: Celebration of the Heart with HeartMath co-founder Howard Martin, author of The HeartMath Solution and Heart Intelligence. The current times give us the ability to grow more than ever before. There is a movement going on that is driven by qualities like wisdom, compassion and non-judgement, in which we manifest our lives by putting our hearts at the center. It creates a growing momentum of innovation and cooperation. You will learn how to strengthen your health, your mind and your happiness. It is an opportunity to experience connection, see the increasing group coherence measurements during the event on a large screen. The HeartMath® Certified Trainer program provides organizational and independent trainers and consultants with the training and license to deliver the Resilience Advantage™, a best-in-class program used by the US Navy, hospital systems and Fortune 500 companies world-wide. The 4-day intensive classes are held at various locations around the USA. Registration for this session closes 04/25/2018. Join HeartMath CEO, Deborah Rozman, Ph.D., along with Gregg Braden, Dr. Joe Dispenza, and Kelley Alexander JD, in red rock country Thursday through Sunday, June 6-9, 2019 for the annual Self-Empowered Wisdom gathering. Music, magic, mystical experiences and sacred ceremony, along with tools to take with you as move forward into your DIVINE DESTINY! Post conference full day with Deborah Rozman, PhD., Monday, June 10, 2019. Topic: Heart-Based Living – Tools to express the qualities of the heart in daily life. Join us as we explore how Heart-based living engages the intelligence and core power of the heart to access “practical intuition” in how we act and shape our lives, individually and collectively. Important: this workshop is priced separately and is not included in your full weekend pass. Join eight, 2-hour classes via the phone and learn to deliver HeartMath’s scientifically–validated tools in a coaching and mentoring style, specifically for one-on-one and small group settings. Each class consists of core topics including Q&A. All classes are recorded and available for review. Classes are held on Mondays at 11:00am PT. Registration for this session closes June 24, 2019. The HeartMath® Certified Trainer program provides organizational and independent trainers and consultants with the training and license to deliver the Resilience Advantage™, a best-in-class program used by the US Navy, hospital systems and Fortune 500 companies world-wide. The 4-day intensive classes are held at various locations around the USA. Registration for this session closes 06/27/2019. Join eight, 2-hour classes via the phone and learn to deliver HeartMath’s scientifically–validated tools in a coaching and mentoring style, specifically for one-on-one and small group settings. Each class consists of core topics including Q&A. All classes are recorded and available for review. Classes are held on Thursdays at 12:00pm PT. Registration for this session closes August 29, 2019. The HeartMath® Certified Trainer program provides organizational and independent trainers and consultants with the training and license to deliver the Resilience Advantage™, a best-in-class program used by the US Navy, hospital systems and Fortune 500 companies world-wide. The 4-day intensive classes are held at various locations around the USA. Registration for this session closes 08/22/2019. Join eight, 2-hour classes via the phone and learn to deliver HeartMath’s scientifically–validated tools in a coaching and mentoring style, specifically for one-on-one and small group settings. Each class consists of core topics including Q&A. All classes are recorded and available for review. Classes are held on Tuesdays at 10:00am PT. Registration for this session closes October 1,2019. 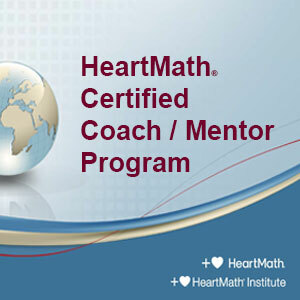 Join eight, 2-hour classes via the phone and learn to deliver HeartMath’s scientifically–validated tools in a coaching and mentoring style, specifically for one-on-one and small group settings. Each class consists of core topics including Q&A. All classes are recorded and available for review. Classes are held on Wednesdays at 11am PT. Registration for this session closes October 23,2019. This timely event will take place November 6-10, 2019 in a delightful environment that offers flora in abundance, beautiful beaches, elegant accommodations, amazing food, fun and adventure.> You are invited to attend the 8th Annual HeartMath Institute Global Coherence Event Lifting Global Consciousness: Raising Our Vibration and Expanding Our Capacity to Love in the lovely Riviera Maya region of Mexico. 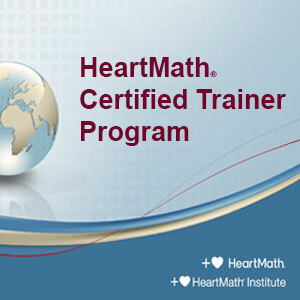 The HeartMath® Certified Trainer program provides organizational and independent trainers and consultants with the training and license to deliver the Resilience Advantage™, a best-in-class program used by the US Navy, hospital systems and Fortune 500 companies worldwide. The 4-day intensive classes are held at various locations around the USA. Registration for this class closes 10/24/2019.